Document No 477: A Stern Chase and a Long One Countess of Dufferin. America. Grant. Madeleine. 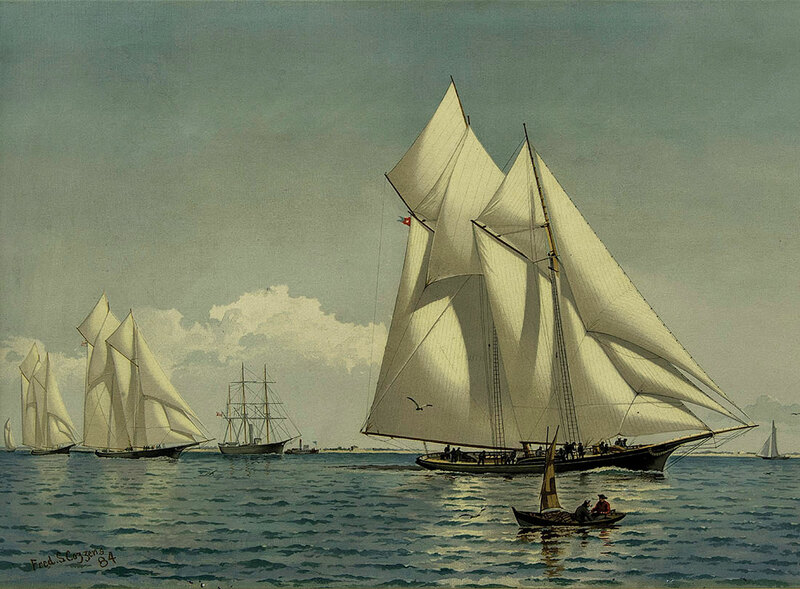 A challenge for the America's Cup 1876 between the Countess of Dufferin from the Royal Canadian Yacht Squadron and the Madeleine from the New York Yacht Club. The 1851 winner, the America, also participated. The moment shown here is probably during the race on August 12, when the three yachts rounded a buoy near the end with the Madeleine in the lead. Having won two out of three races, the Madeleine was declared the winner of the Cup.